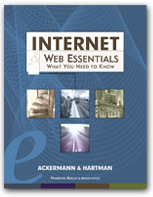 - "This document is not intended to teach you how to use Usenet. Instead, it is a guide to using it politely, effectively and efficiently. Communication by computer is new to almost everybody, and there are certain aspects that can make it a frustrating experience until you get used to them. This document should help you avoid the worst traps." - "I would like to take a moment to share some of my knowledge of writing style. If you read the suggestions below, remember: it's easy to agree that they make sense but it's much harder to apply them." - "Please, help to keep the Usenet useful! * Read before posting, * Read the fine manuals (RTFM), * Get local help, * Do not repeat frequently asked questions (FAQ), * When in doubt, use e-mail instead of posting (publishing) to a newsgroup, * Follow the "Netiquette" rules and conventions, and always remember that you are communicating with millions of people all over the world!" - "This message describes some of the rules of conduct on Usenet. The rules vary depending on the newsgroup." - "There are thousands of Usenet newsgroups, and it is sometimes difficult to find the right newsgroup to ask a question or start a discussion. This document gives some general methods of finding the right newsgroup or mailing list for a topic. * Resources for new Usenet users * Things that should not be posted to Usenet * Understanding the Usenet hierarchies * Finding the right newsgroup * Binaries (images, executables, sounds, etc.) * Crossposting to multiple newsgroups * Choosing a good Subject: header * Finding FAQs and other Periodical Postings * Finding public mailing lists * Starting a new Usenet newsgroup * About this post * Appendix: Anonymous FTP"